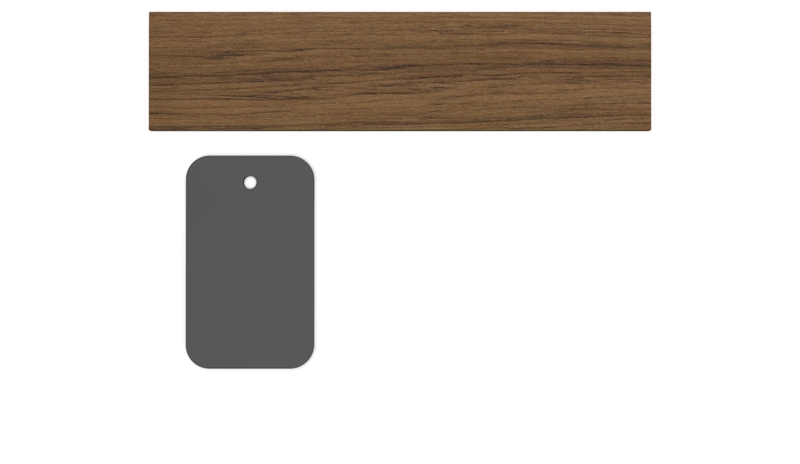 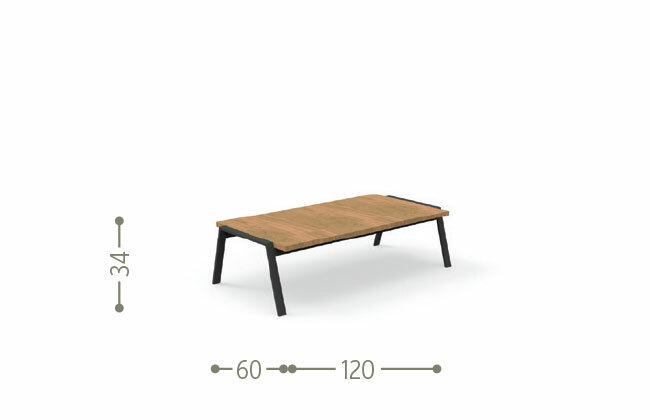 The 120×60 table of the Cottage line is the only rectangular one. 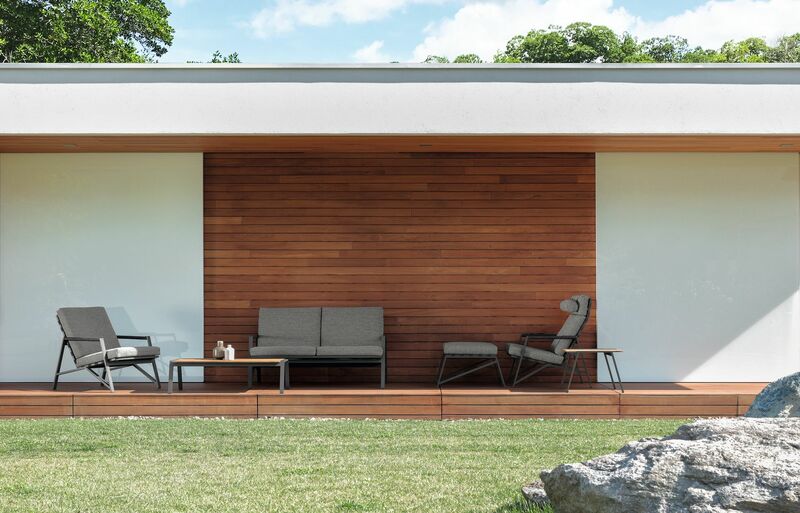 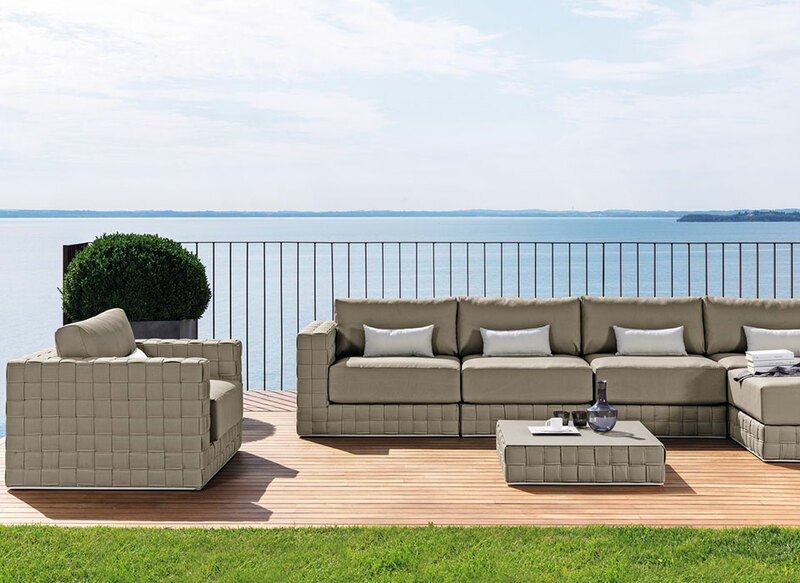 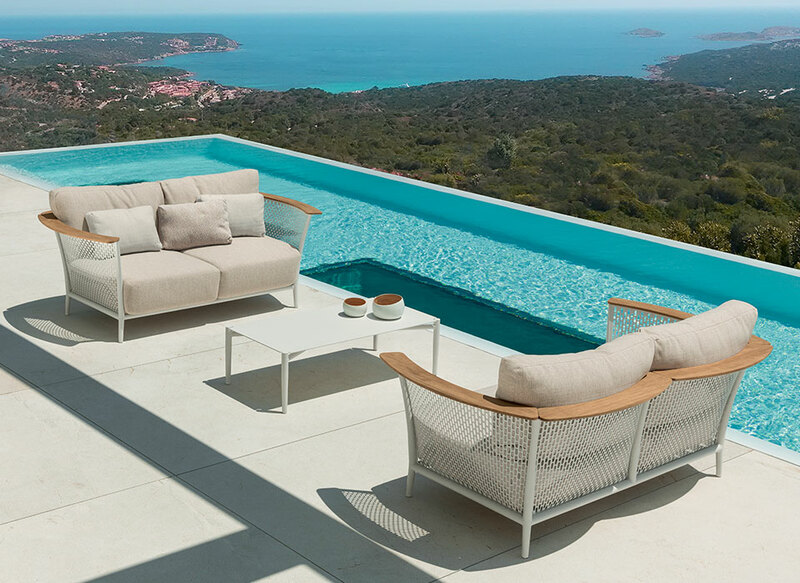 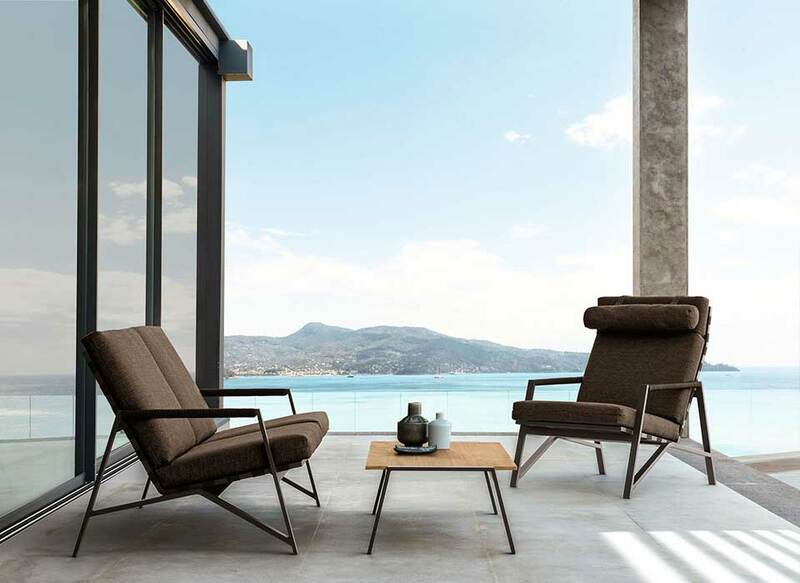 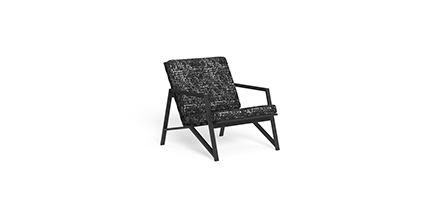 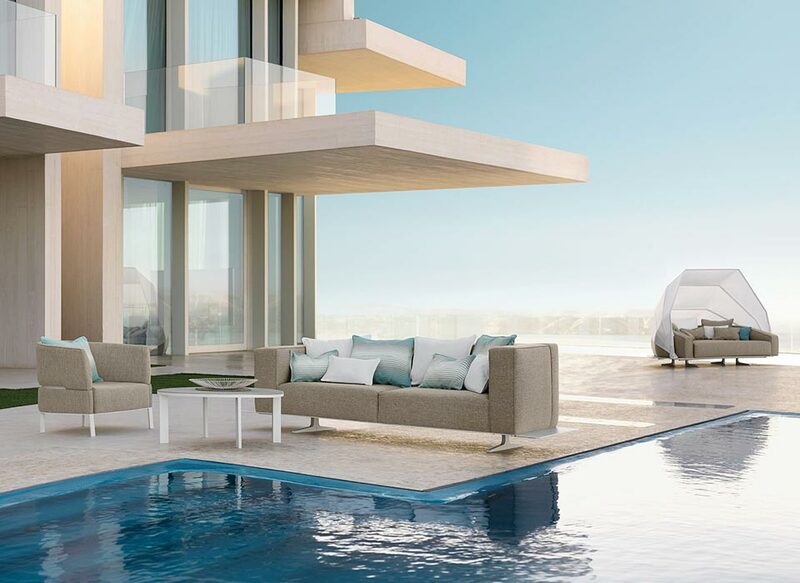 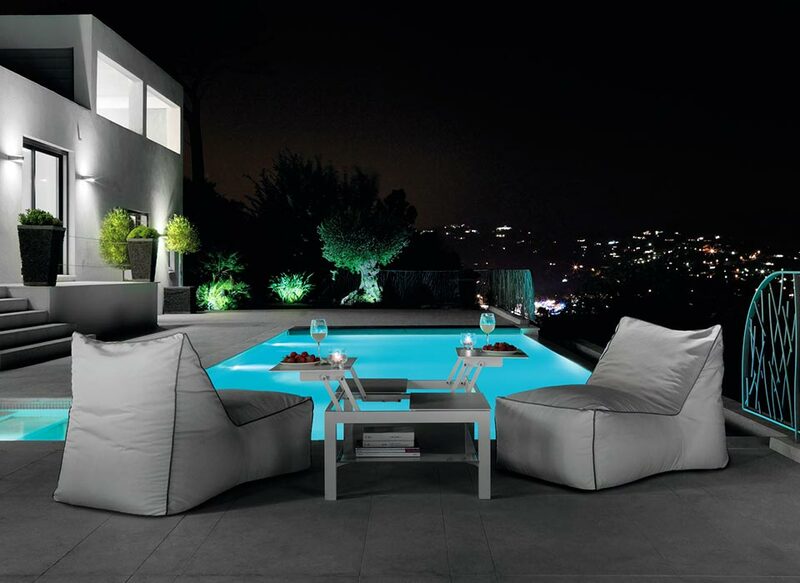 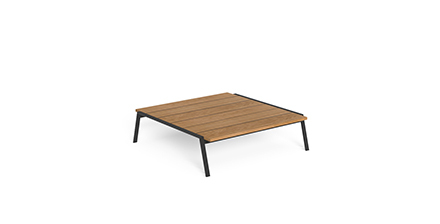 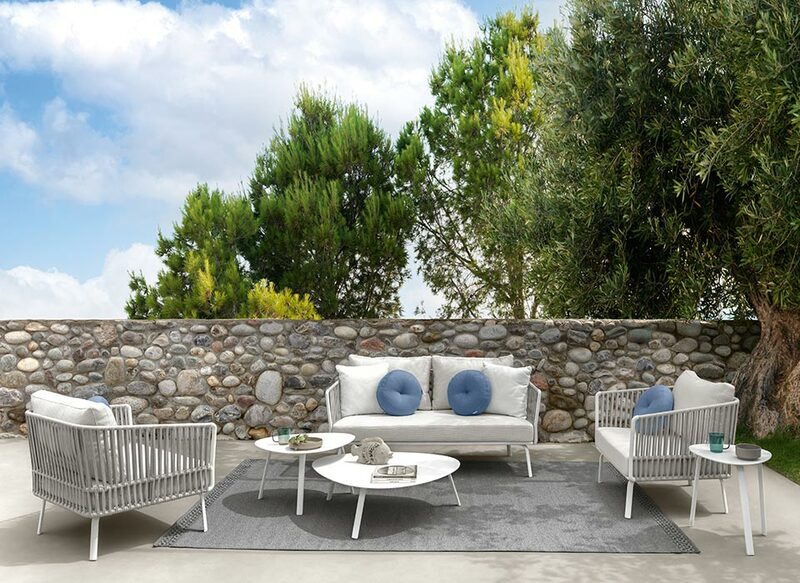 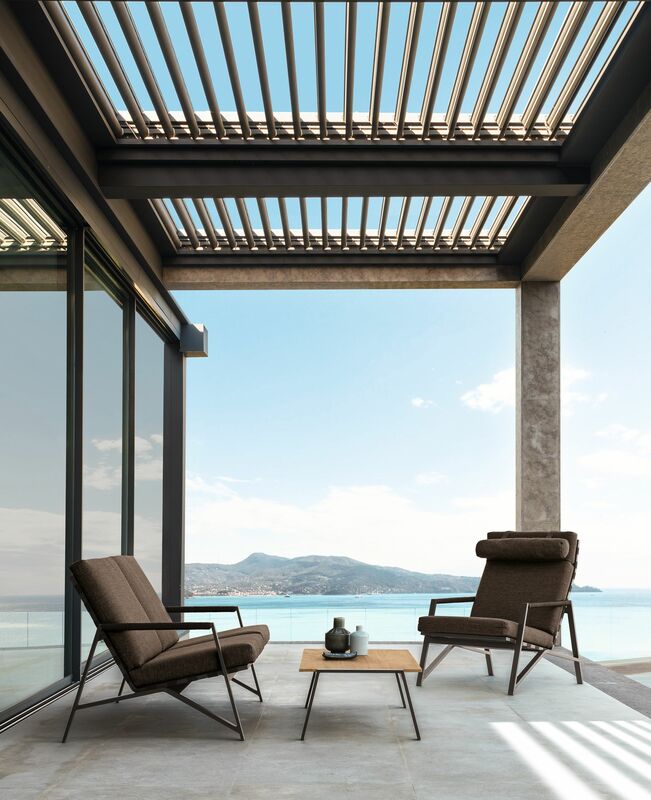 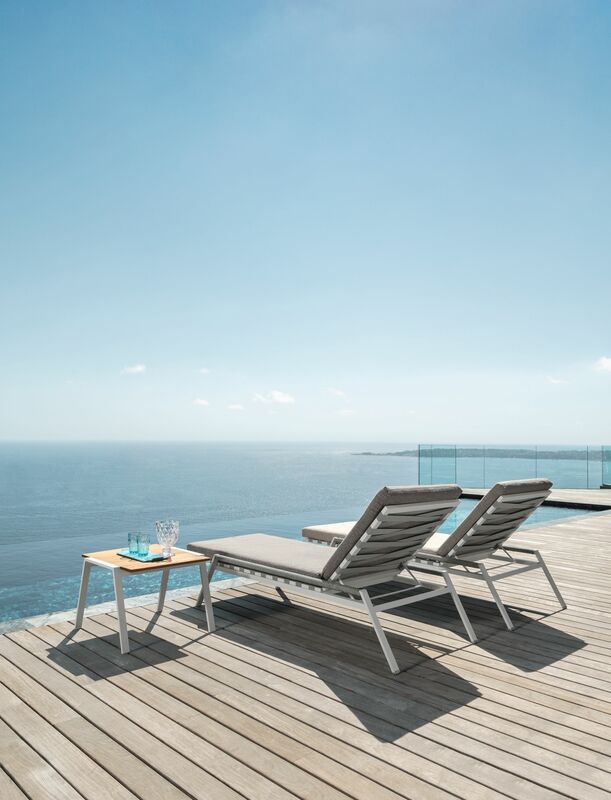 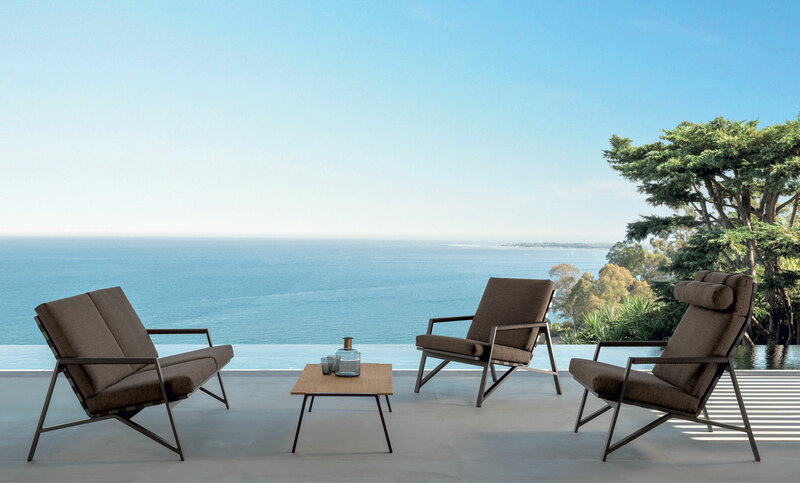 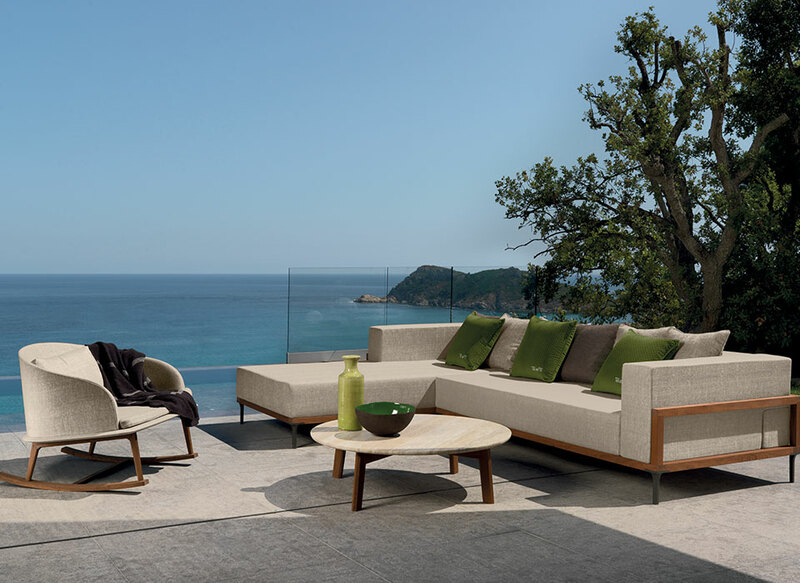 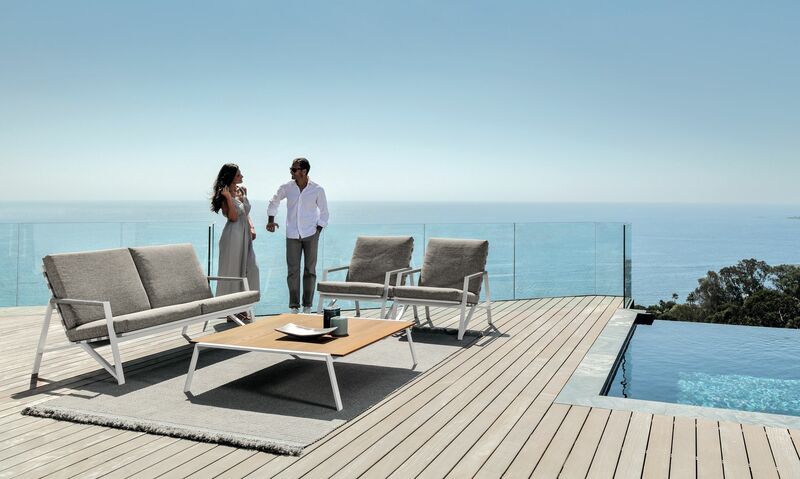 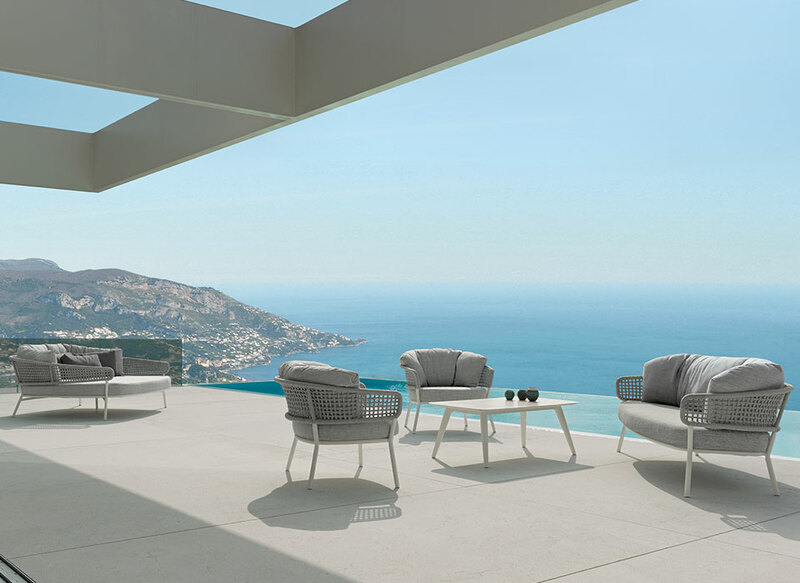 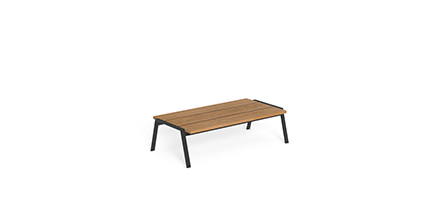 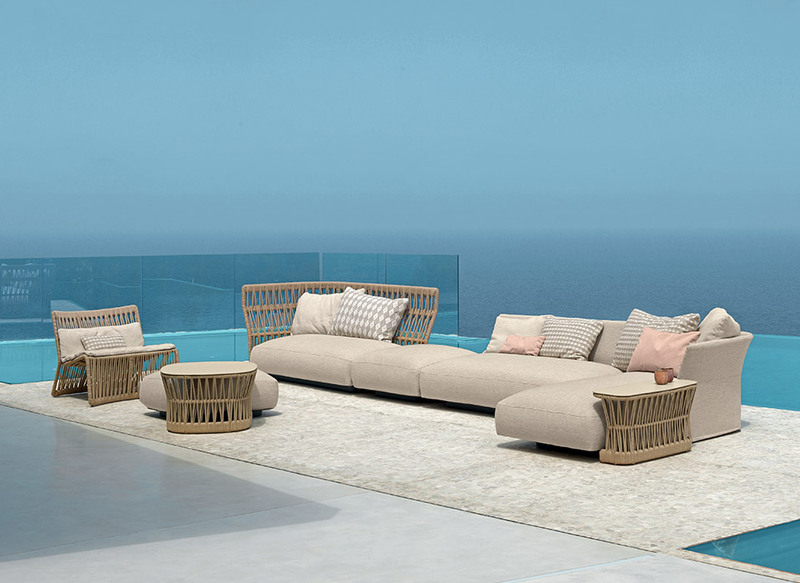 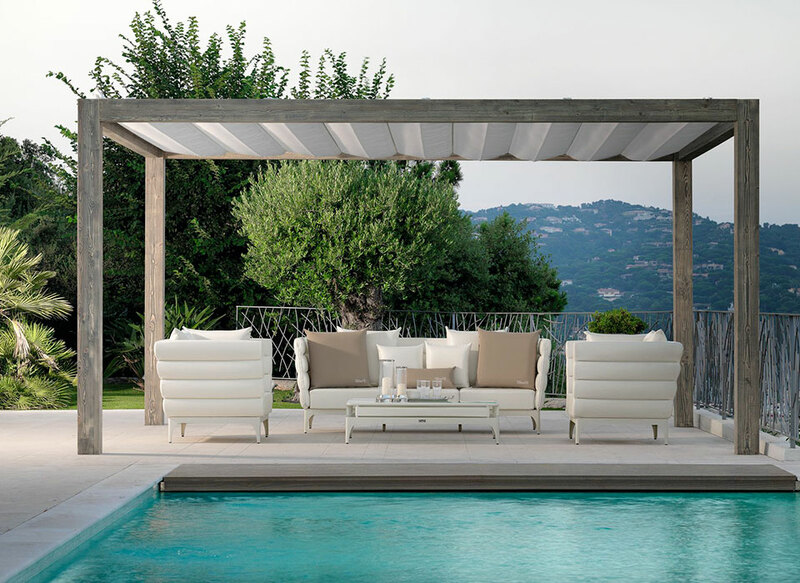 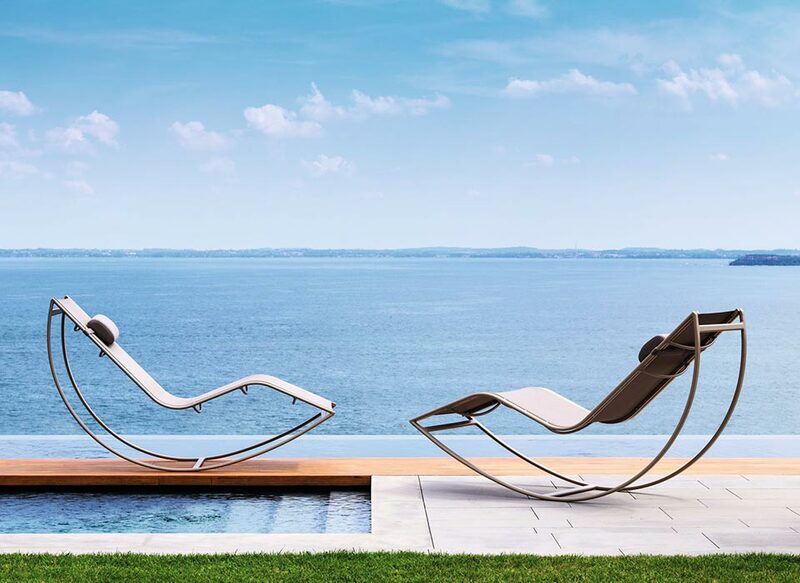 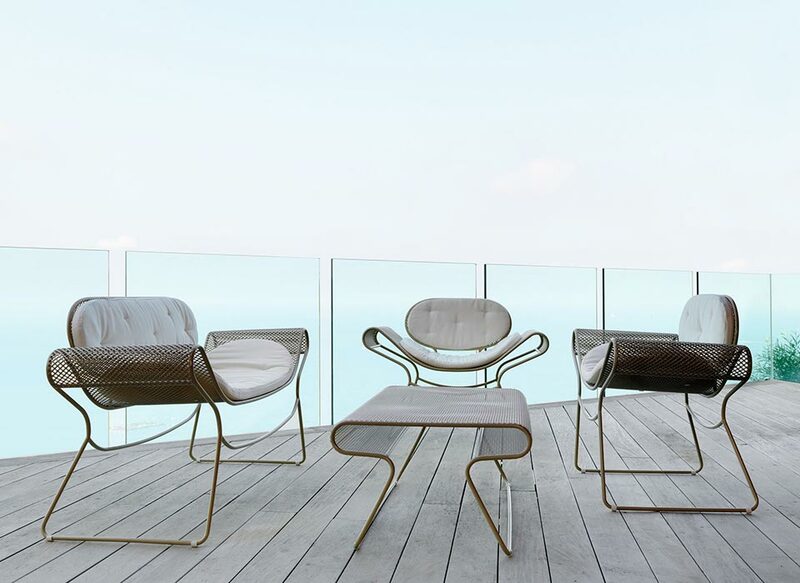 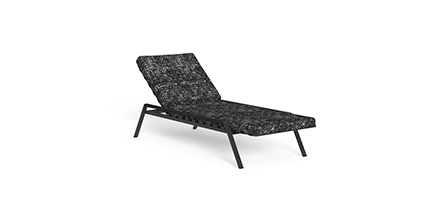 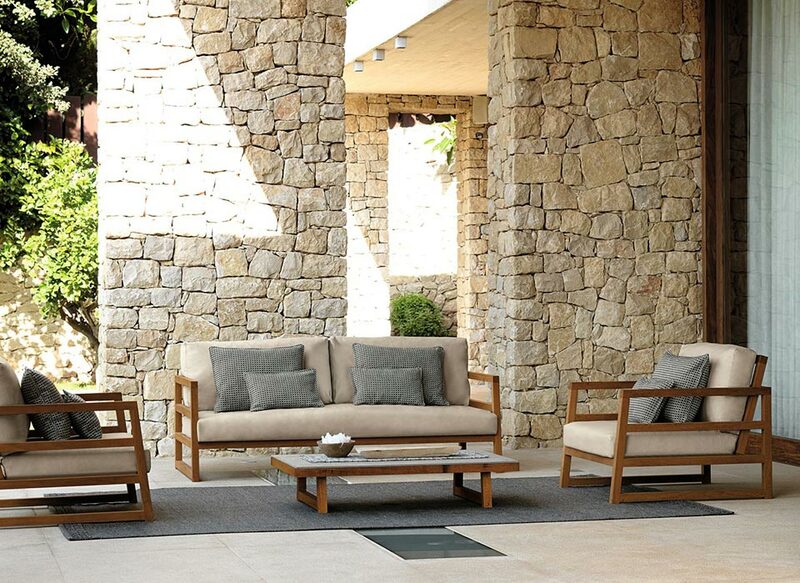 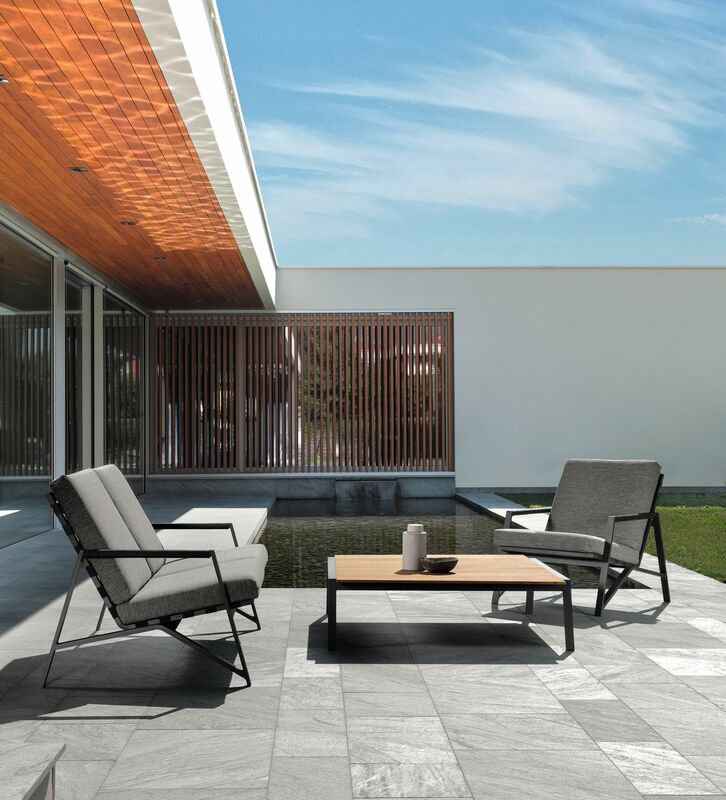 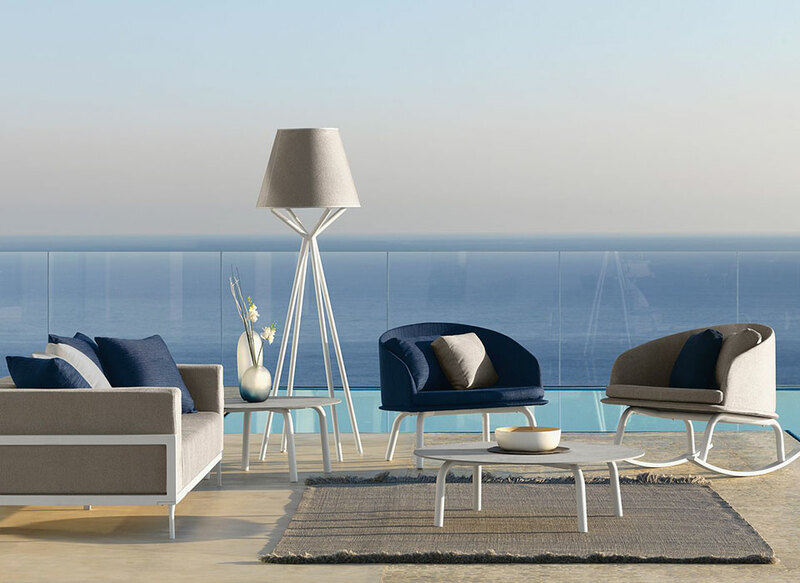 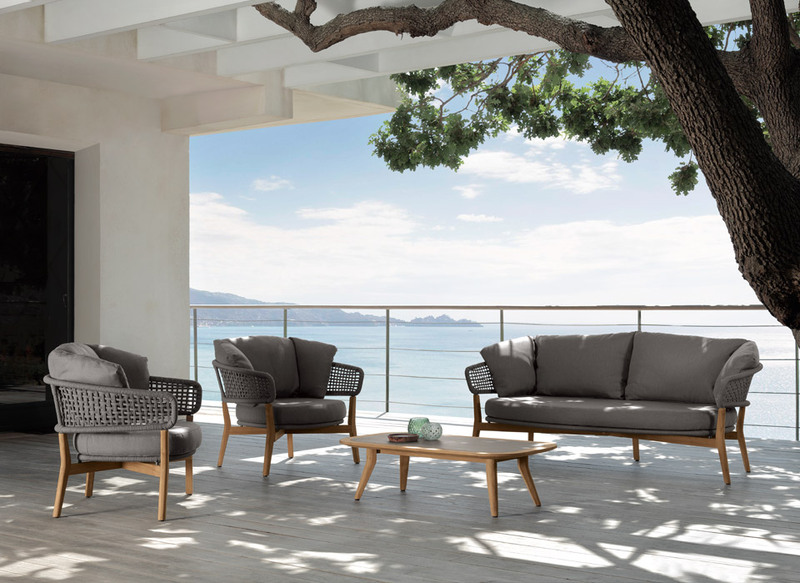 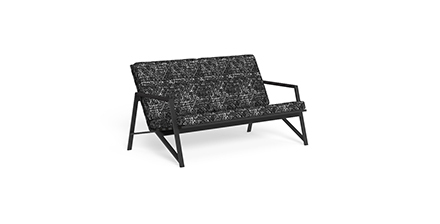 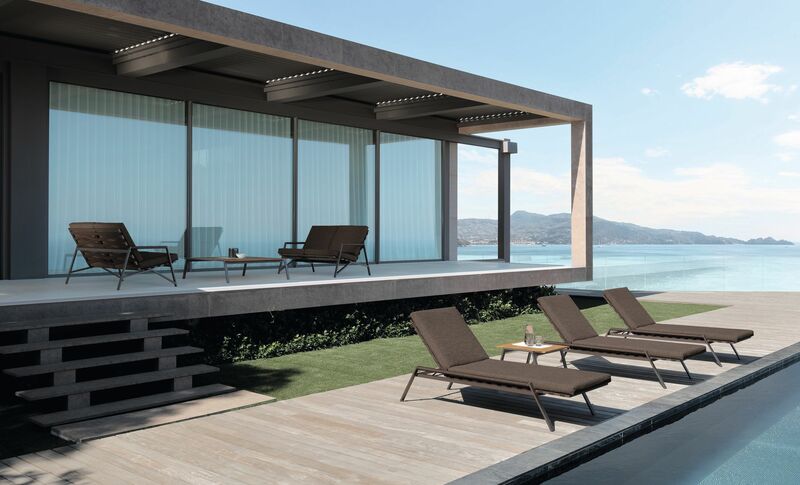 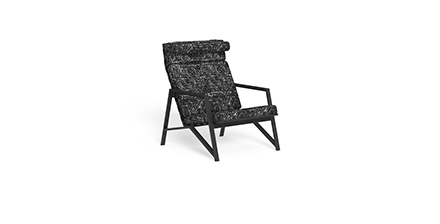 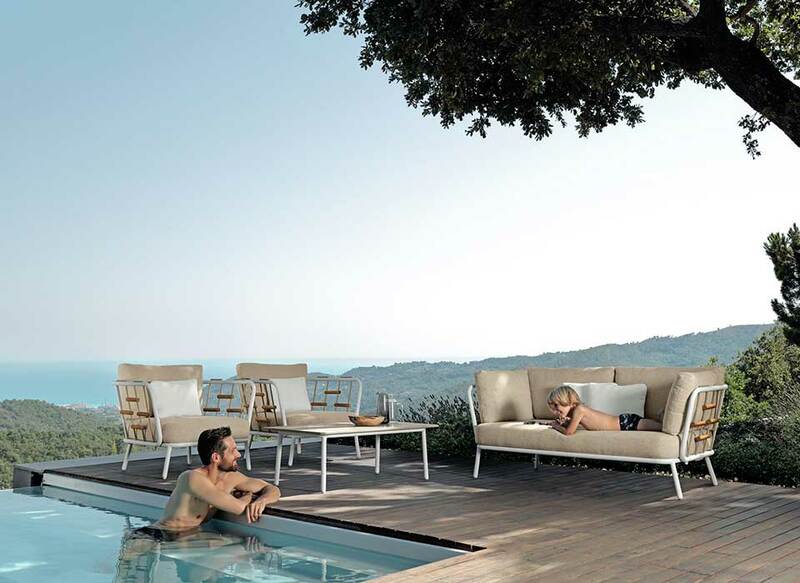 The aluminium frame is the same of the other elements such as the living armchairs, the sofa, the pouf and sunbed. 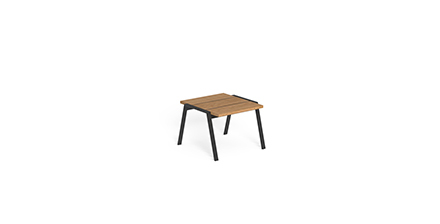 The top is in iroko wood.